July 31, 1948 – Satan made three loud knocks on her cell door followed by a foul odor and then a harsh voice which frightened her. 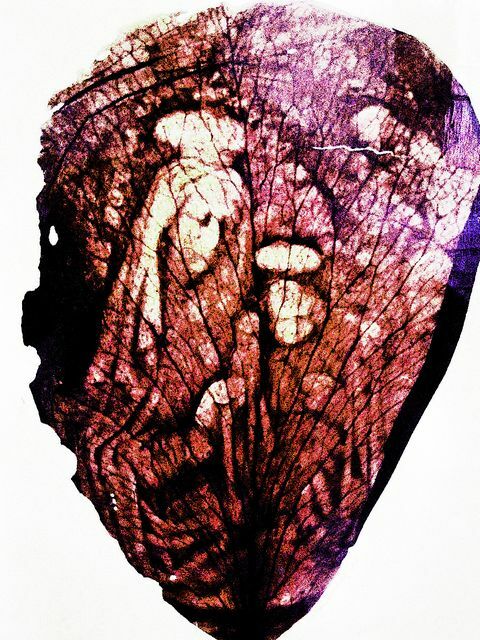 When she showed her rosary to him, he departed, leaving a soot-covered hoof print on the floor. August 18, 1948 – Mary tells Teresita to wash the feet of the prioress, Mother Cecilia, and to drink some of the water herself. When told this, the prioress was quite doubtful. 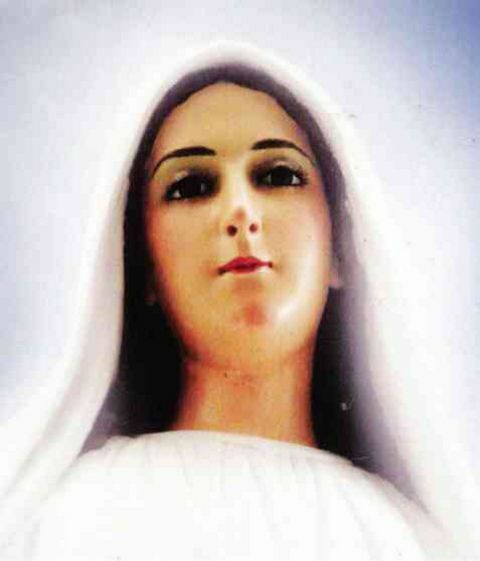 The Virgin Mary begins appearing to Teresita Castillo. August 19, 1948 – Blessed Mary repeats her request to Teresita but adds a locution in Mother Cecilia’s ear, telling her that Teresita would be carrying a sign of confirmation for such a request. The prioress observed unexpected circles of blood around Teresita’s eyes – so she believed and let her wash her feet! Mary voiced her approval later that night, disguised as a nun. Teresita ponders the strange events happening at the convent. August 20, 1948 – Teresita saw showers of rose petals for the first of many times. They occurred both outside in the garden and inside the convent. 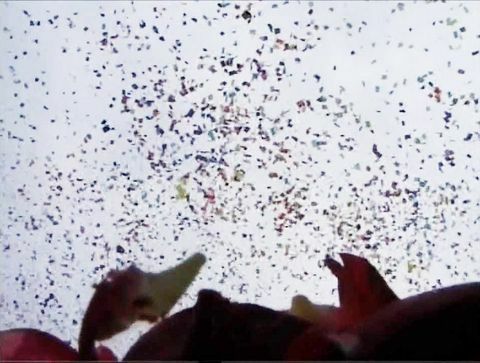 Many clergy, pilgrims, and religious witnessed these rose petal showers. 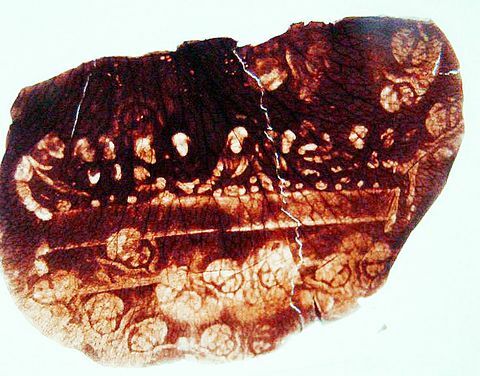 The rose petals contained miraculous images of Jesus, Mary, and other holy scenes. 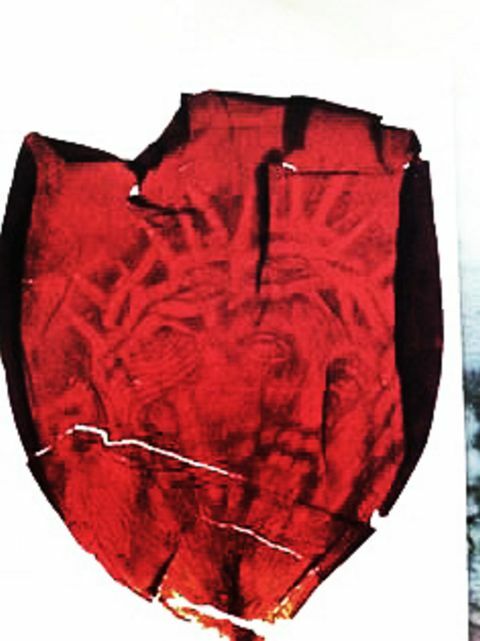 They were collected, saved, and cherished by many – even to this present day. August 22, 1948 – Teresita awoke and felt invisible hands trying to strip her of her clothes. The devil was trying to attack her. She struggled, broke free, and fled to the stairway. The prioress heard the commotion and joined into the physical struggle herself – and helped free Teresita. But Teresita was now blind. Mother Cecilia had a prophetic locution that she would regain her eyesight – and on September 7, she did see again. September 12, 1948 – Teresita was praying in the garden when a vine began to shake and a bluebird appeared. Our Lady appeared and requested that she kiss the earth and return to this same spot for 15 consecutive days. September 14, 1948 – Mary requested that the location of the apparitions be blessed in the presence of the community – and that was accomplished. A shower of rose petals frequently occurred in Lipa. September 15, 1948 – Our Lady asked that her image be created and placed in a shrine for prayer at the site of these apparitions. A statue of Mary was enshrined. September 16, 1948 – Teresita sees Mary arrive, accompanied by little angels. 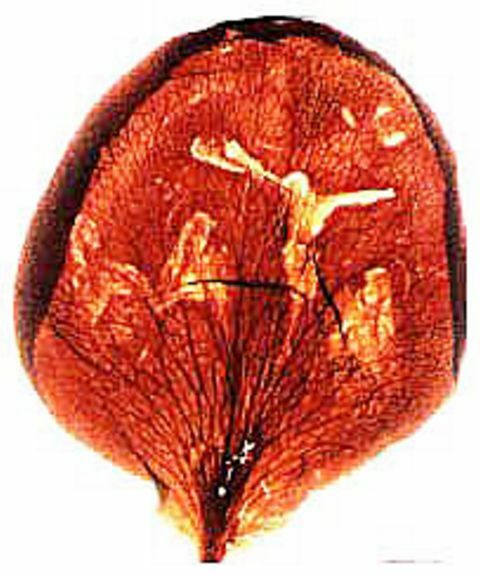 Numerous rose petals had miraculous images on them. September 21, 1948 – Mary requests 13 devotions be said on Saturdays. September 22, 1948 — Mary tells Teresita that she is not obligated to believe, listen, or even pray on Saturdays unless she wants to — of her own free will. 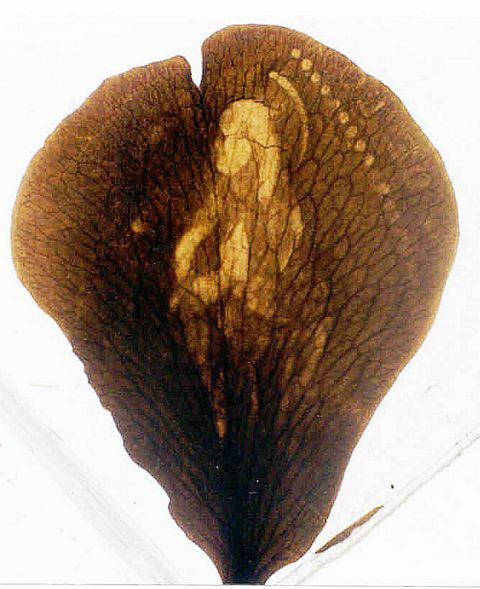 Saint Therese of Liseux accompanied Our Lady during some of the apparitions. She had been known for saying, “From the heavens I will let fall a shower of roses.” Teresita had also seen Saint Cecilia. 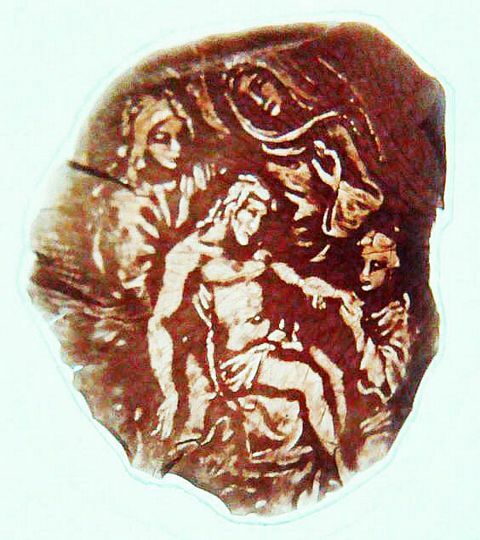 On an occasion, Teresita was too ill to attend Mass, so an angel brought her communion, placing a host on her tongue. 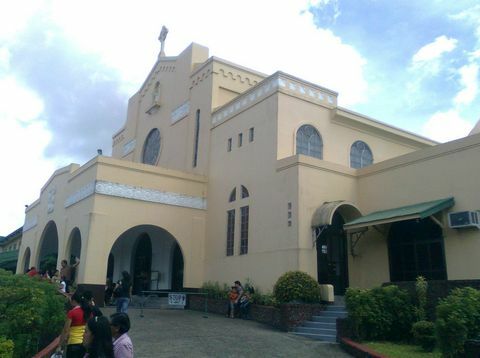 On January 23, 1949, the cornerstone was laid for the new church, Our Lady Mediatrix of All Grace — with up to 50,000 present. 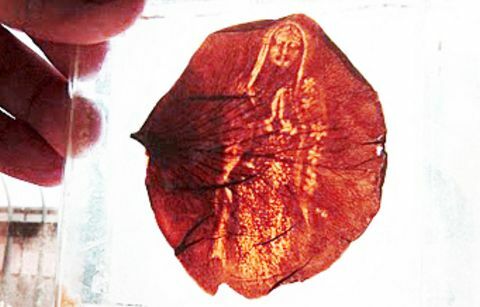 But Bishop Alfredo Verzosa ordered the Carmelite nuns to withdraw the statue of Mary from public veneration because of all the commotion it had caused. He personally went to the convent on November 19, 1948, determined to do this, himself. When he opened the door and entered the convent, a shower of rose petals fell on him. He fell to his knees and could not utter a word. 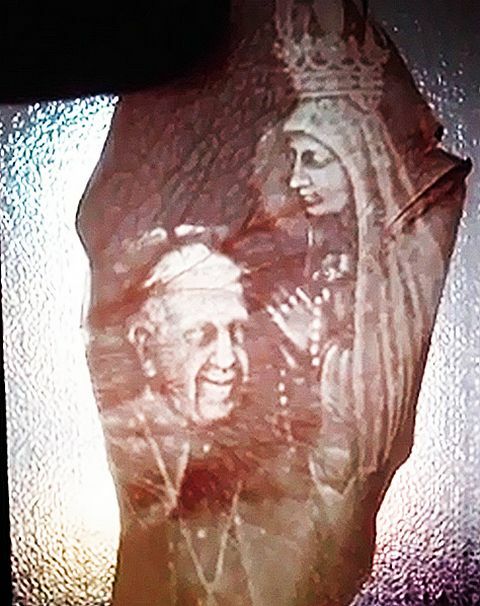 From that moment on, Bishop Verzosa supported the apparitions with official approval. 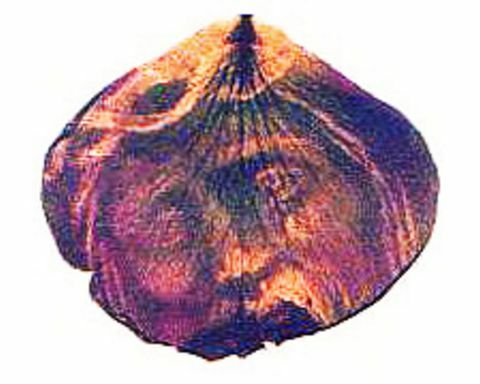 Many cures have been reported using the rose petals. 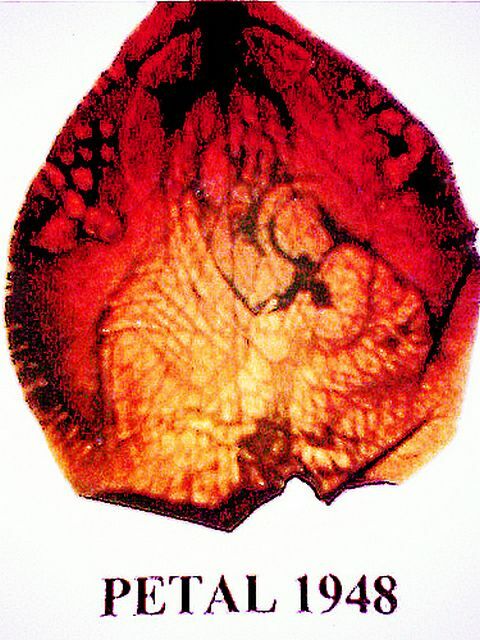 A baby, Soccorro Dichoso, was born with a hole in her skull. The parents applied rose petals from one of the “showers” to the baby’s skull on January 28, 1949. X-rays confirmed that the hole closed up and the brain receded, curing the child. 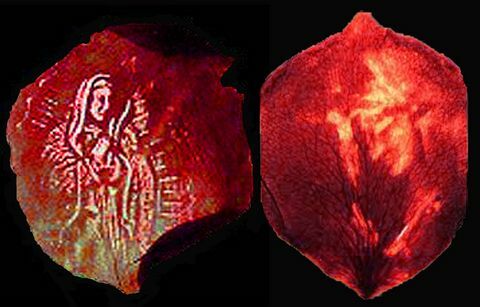 On December 24, 1950, a girl was receiving the Last Rites, dying from a cerebral hemorrhage, when the priest placed one of those “heavenly rose petals” on her forehead. Upon the ringing of the Angelus bell, the girl suddenly awakened as if nothing was wrong – and she was completely healed. Another child, Menania Sungo, had been born with a severely deformed right foot. It was curled so much that she could not wear a shoe; her leg had atrophied, shortened, and wasted away. But, at nine years old, her uncle brought a bottle of water that had been placed by Mary’s statue overnight. The mother rubbed this water on her foot every evening for a week, and then the child awoke one morning to a perfectly healed foot and leg! Neighbors reported a strong fragrance of flowers around the child’s home. The Sungo family was shocked when a shower of rose petals fell inside their own home. And “showers” of rose petals have often fallen inside Teresita’s home as well. Several witnesses, including a priest, were present when full roses materialized out of thin air and landed on the stairs, altar, and bedroom of Teresita’s home. The official church investigation in April, 1951, was rather suspicious in that key witnesses were not interviewed, diaries and evidence were destroyed, and the six bishops who signed the negative report admitted later that they had been coerced to do so under threat of excommunication. Despite efforts by psychiatric professionals to find mental illness, delusion, or other emotional disturbances with Teresita, she was officially deemed sane. 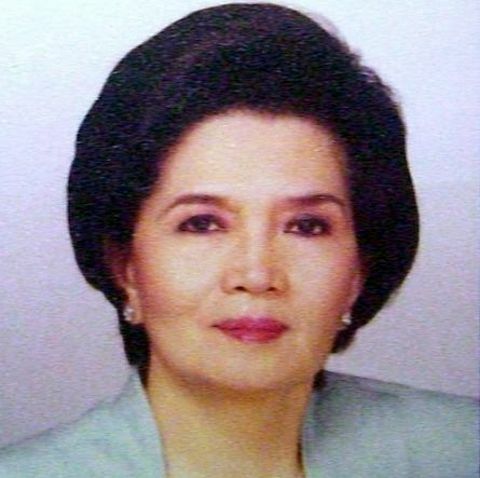 Neither Bishop Obviar nor Bishop Verzosa was questioned. 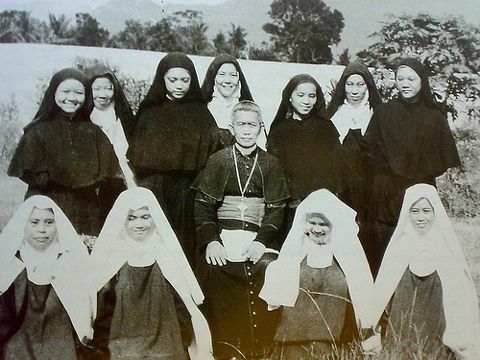 Stringent sanctions were placed on the Convent of Lipa. The nuns were cut off from the world; the statue of Mary was removed from sight. 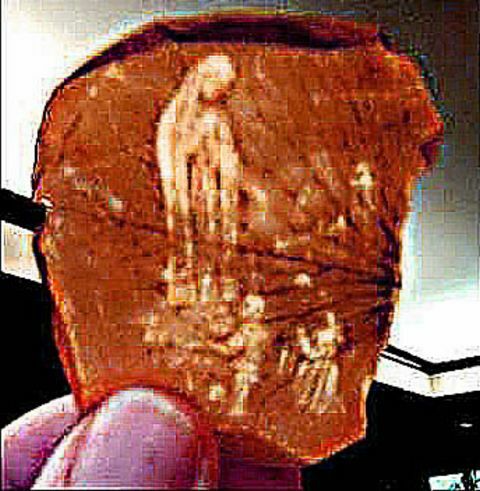 But, from February through May, 1990, a white luminous figure of a female in prayer appeared in a coconut tree every evening for 90 days. Sister Alphonse pleaded from her deathbed for the statue of Mary to be exposed again in the Chapel of Carmel. The next day – after 40 years – Archbishop Gaviola finally ordered the statue to be displayed again. Showers of rose petals began again. As Teresita and two others were praying in front of Mary’s statue in the chapel, a shower of pure white rose petals fell inside the chapel. Other reports include the “spinning of the sun” and strong smell of roses again. And Teresita began receiving messages from Mary again. Water gained healing powers if the rose petals had been dipped into it.